Q. When and how was IMTEX conceptualized and who were the key people wholaunched the show? A. The story of IMTEX began five decades ago. Fascinated by the success of International Machine Tool Exhibitions in Hannover, members of the Indian Machine Tool Manufacturers’ Association (IMTMA) deemed it necessary to organize machine tool and manufacturing exhibitions of such grand scale within India. The spark was ignited when members of IMTMA organized what was considered to be the most splendid event for the betterment of Indian machine tool industry as well as the country’s larger manufacturing industry. All India Machine Tool Exhibition as it was titled initially was held in 1969 from December 14 to 21 at Godrej & Boyce Manufacturing Company in Vikhroli, Bombay (now Mumbai). Leading industrialist Mr. Naval Pirojsha Godrej who was the guiding light for IMTMA in its formative years played a pivotal role in establishing IMTEX as well. He not only provided factory premises for the purpose of hosting the exhibition but was also involved in every aspects of its planning, projection and execution. He continued to serve as the mastermind and pillar behind the success of all IMTEX shows during his lifetime. Q. How did the initial editions of IMTEX look like? How has IMTEX evolved over the years? What have been the major milestones of the IMTEX journey (Edition Wise)? A. IMTEX 69: Twenty-six Indian companies all IMTMA members along with Central Mechanical Engineering Research Institute and Indian Institute of Technology participated in the first edition of the exhibition held at Godrej & Boyce plant in Vikhroli. A delegation of machine tool dealers from United States of America, Canada and other countries came to witness the developments by Indian manufacturers. B. IMTEX 72: Organized over 7,000 square metres of gross space the exhibition coincided with IMTMA’s silver jubilee. Focus was on advancements made by Indian manufacturers in the field of design and diversification. Over 350 metal-cutting and metal-forming machine tools, small tools, foundry equipment and accessories. Ninety-five IMTMA members participated in the show. Imported machine tools were also displayed. C. IMTEX 75: Exhibition acquired a brand image as the largest product-based industrial show in India. Organized in a gross space of 15,000 square metres, 225 members of the Association participated in the exhibition which featured over 500 machines. Over 100 newly developed machine tool products by Indian manufacturers were on display. D. IMTEX 79: Organized over a gross area of 25,000 square metres, a noteworthy achievement of the show was that 40% of the exhibits were exposed to visitors for the first time. E. IMTEX 82: IMTEX was held in two large halls covering 31,000 square metres gross space. For the first time, 125 overseas companies from USA, UK, Switzerland, Japan and West Germany participated with well-known brands. Several functions and technical workshops were held alongside IMTEX 82 including a seminar on CNC segment that was relatively unknown in India then. F. IMTEX 86: Became the country’s largest specialized show back then with 650 companies, including 240 firms from 18 overseas countries putting up their displays over a net space of 25,000 square metres. One major attraction was the 120 CNC machine tools which were displayed and which was the new bug in the industry then. Display of the first indigenously-built industrial robots was a special attraction at this fair. G. IMTEX 89: All India Machine Tool Exhibition was officially re-christened as Indian Machine Tool Exhibition (IMTEX) in 1989 held in a gross area of 50,000 square metres displaying over 1,500 machines. IMTEX 89 was memorable in more ways than one. IMTEX series completed 20 years existence and was for the ultimate time held continuously in the Godrej Industrial Complex in Bombay. The exhibition had the privilege of being inaugurated by Shri Rajiv Gandhi, the then Prime Minister of India. H. IMTEX 92: Moved from Bombay to New Delhi, the political capital of India. Inaugurated by H.E. R. Venkataraman the then President of India, the exhibition displayed the vibrancy of the Indian machine tool industry, which had just been freed from the shackles of controls and closed-door regimes. The exhibition had participation of over 600 companies including 140 from 16 overseas countries. One major attraction of this fair was the presence of 200 CNC machine tools and several robots. I. IMTEX 95: High growth in all sectors of Indian engineering industry was the hallmark of 1995 when IMTEX was held for the second time at Pragati Maidan covering a gross space of 45,000 square metres. The exhibition was inaugurated by the country’s highest Constitutional authority, H.E. Dr. Shankar Dayal Sharma, the then President of India. For the first time at IMTEX there was group participation from Spain, Israel and Germany. J. IMTEX 98: Five halls were earmarked exclusively for Tooltech exhibits which was unprecedented in any IMTEX show until then. Overseas countries from 25 countries comprised 35% of the total participation. The largest space was occupied by HMT Limited. K. IMTEX 2001: Held for the last time at Pragati Maidan in New Delhi. The exhibition further consolidated the close bonds between manufacturers and users of machine tools and manufacturing solutions. L. IMTEX 2004: Once again entered the shores of Mumbai where it all began. With 1,150 exhibitors from 27 countries the exhibition lived up to its true image of being the most comprehensive exhibition of manufacturing solutions in South and South-east Asia. An interesting facet of the Indian representation was the presence of over 95% of the machine tool industry at the exhibition. IMTMA for long had deemed it necessary to have a world-class venue for organizing exhibitions of large scale and this thought process gave birth to BIEC. The dream became a reality when the exhibition centre was constructed and opened in 2007 for hosting IMTEX & Tooltech that year. IMTEX would later (from 2009 onwards) split into two shows IMTEX and IMTEX FORMING. Every odd year IMTMA organizes IMTEX and every even year the Association organizes IMTEX FORMING. Both the exhibitions however continue to have Tooltech concurrently. IMTEX 2017 & Tooltech 2017 held in BIEC attracted a footfall of 75,440 visitors. Orders worth Rs. 1,670 crores and enquiries to the value of Rs.18,989 crores were generated during the exhibition. Compared to IMTEX 2015 the booked orders increased by 16% whereas the enquiries generated increased by 21%. Q. What has been the impact of IMTEX on the industry? 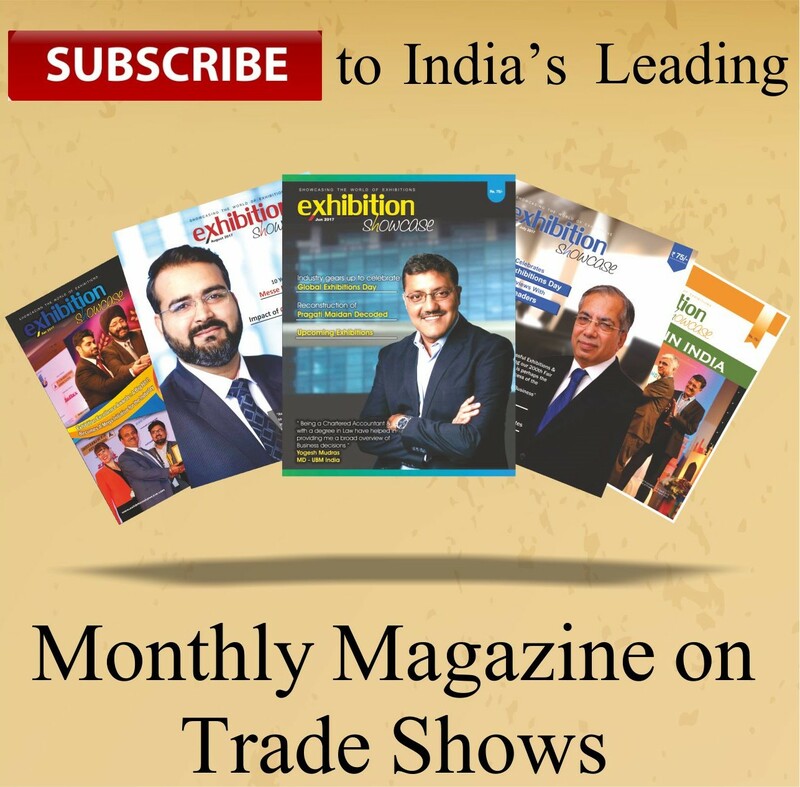 How successful has IMTEX been in serving the industry and promoting its business? A. IMTEX occupies a premier position in the exhibition landscape as South Asia’s largest exhibition on metalworking and showcases every change and major shifts in the manufacturing industry to enable Indian manufacturers to innovate, reinvent, evolve and stay relevant for customers. The exhibition brings diverse groups and stakeholders on a common platform for business and knowledge sharing. IMTEX 2019 will showcase latest technologies in additive manufacturing and Industry 4.0. Q. How ideal is Bangalore for posting an event like IMTEX? A. IMTMA decided to build BIEC in Bangalore for the many advantages the city offered for the manufacturing industry. Numerous machine tool manufacturers have their base in South India in cities such as Chennai and Coimbatore besides Bangalore. Having an exhibition centre for them to display their products becomes easy due to the distance factor. Many of them find it easy to transport their machines through road and rail since Bangalore is an overnight journey for them from their locations. Bangalore is also connected to all international destinations by an international airport and the city has plenty of hotels and guest house accommodations for MICE travellers catering to all budgets. The city’s salubrious climate, surrounding greenery, nearby tourist and historical spots, weekend getaways make it all the more popular for travellers. BIEC binds the ecosystem. The idea of BIEC originated from IMTEX. Members of IMTMA sensed the need to have a world class infrastructure with plug and play facilities to host large-scale exhibitions and thus BIEC was constructed in 2007. Q. What are the highlights of this edition of IMTEX? Belgium, China, Czech Republic, France, Germany, India, Israel, Italy, Japan, Korea, Netherlands, Russia, Serbia, Singapore, Spain, Switzerland, Taiwan, Thailand, Ukraine, United Kingdom, and United States of America). machines and explore mutual business opportunities. Seminars on “Additive Manufacturing” and “Industry 4.0”. Tooltech’ showcasing a range of cutting tools, tooling systems, machine tool accessories, metrology as well as CAD & CAM software, as a concurrent fair. International Seminar on Machining Technologies focusing on advancements in machining technologies will be held on 23rd January 2019.
i2 Academia Pavilion which will connect institutions with industry. Will have participation from 52 institutions including IITs from various cities. Connect which will join companies with students on a common platform to source talent for machine tool industry. IMTMA is also organizing an inter-college Quiz contest on manufacturing technology for students visiting the exhibition. The quiz will enable students to get acquainted with the latest technologies emerging in the manufacturing industry and make them competitive to build their professional career.